PRACE Summer of HPC (SoHPC) is held at the University of Ljubljana, Faculty of Mechanical Engineering (ULFME) that hosts the largest HPC facility of research and education in Slovenia. ULFME is in charge of the management and/or coordination of the provision of High Performace Computing (HPC) services and is appointed and supported to represent Slovenia in the PRACE AISBL. Within country, ULFME is dedicating its manpower and HPC resources for PRACE activities. PRACE SoHPC students at ULFME participate in the projects where simulations, programming and visualizations will be an essential part of their stay at the computing centre located at ULFME. Many researchers at ULFME perform their research at HPCFS cluster from various fields of science and especially in engineering. Searching answers to tough questions that can be tackled by HPC only is difficult without proper insight to the simulations. 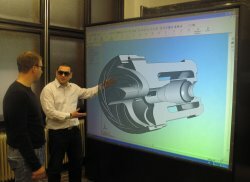 Several pre- and post- processing tools must be used before one can answer even simple questions on the physics involved. When it comes to the product stage it is not enough to perform well but to have optimal properties. Optimization then plays primary role when many parameters needs to be varied before proposing single experiment with the prototype. Visualization plays important role when complex phenomena is observed and many tools must be used to observe and verify simulations. SoHPC students will use such tools available at ULFME and on other clusters to prepare themselves and report practical experience gained through the summer. Several people will help them within project assignments. Dr. Leon Kos is SoHPC coordinator and at the same time mentor to two SoHPC students. His interests throughout the many projects were always connected to programming of computer graphics (BsC), parallel rendering(MsC) and physics computation(PhD). Over the summer “team” will concentrate on establishing easy to use visualization pipeline from the fusion database through Kepler workflows to the VisIt engine at the end. 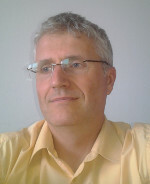 Dr. Boris Jerman offered his expertise in computational modelling of solar trackers. Proper understanding of wind loading has benefits in future applications that are terrain dependent. He works as an Assistant Professor in the fields of steel structures, cranes and transportation machinery, welded structures, and pressure vessels since 2009 and in the field of technical safety since 2005. He is a member of Technical Comities for Cranes and transportation Machinery and for Occupational safety at Slovenian Institute for Standardization. Marijo Telenta is a PhD candidate at the Faculty of Mechanical Engineering in Ljubljana. His area of research is wind protection using CFD and experimental methods. He has Master’s degree from Ohio University. Main area of research for master’s degree was CFD modeling of novel device for pollution control, Sieving Electrostatic Precipitator (SEV). He will be project consultant for CFD simulations. 3 Pings/Trackbacks for "Site Spotlight: Slovenia"